Mutiny on the Bounty; Men Against the Sea; Pitcairn’s Island (Bounty Trilogy). Nordhoff, Charles and James Norman Hall. 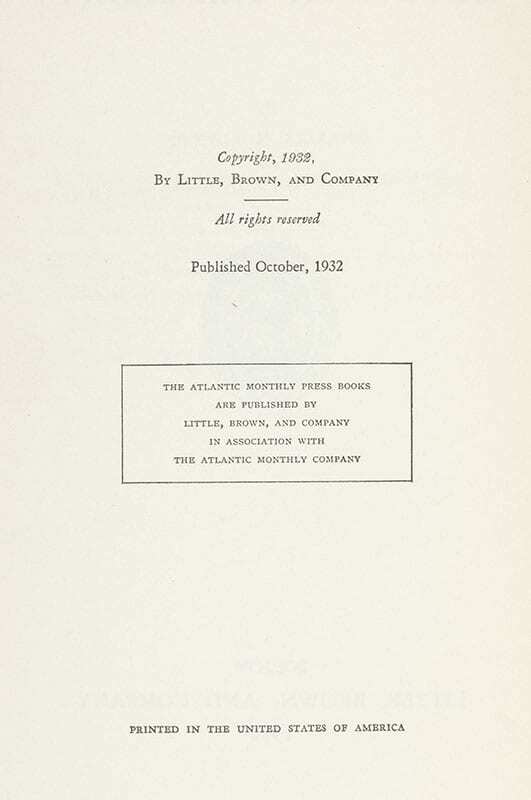 Boston: Little, Brown and Company , 1932. 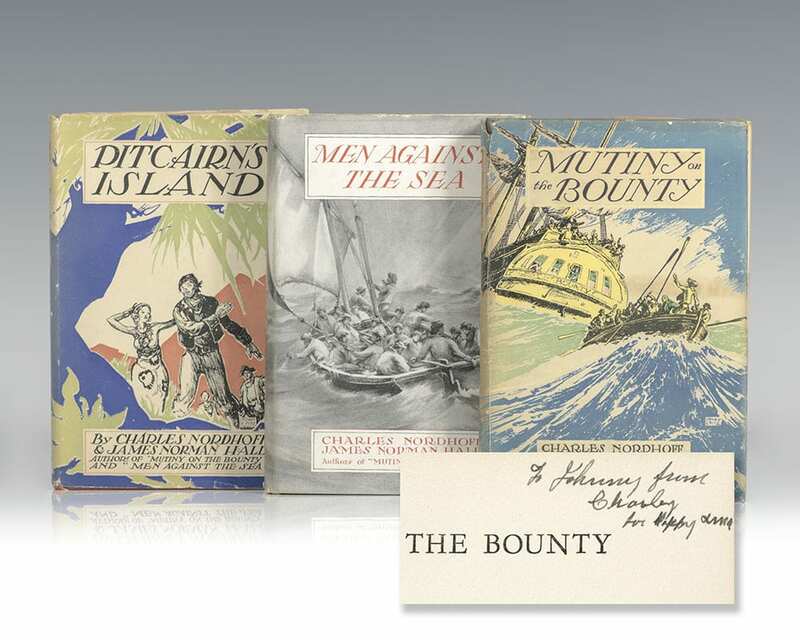 First editions of the Bounty Trilogy, based on the 1787 mutiny in Tahiti and made into the 1962 film starring Marlon Brando, Trevor Howard and Richard Harris. Octavo, original blue cloth with the H.M.S. Bounty embossed on the spine and front board. Mutiny on the Bounty is inscribed by Charles Nordhoff to fellow author John Moody on title page. Mutiny on the Bounty is near fine in a very good first issue jacket with no reviews on rear flap. Men Against the Sea and Pitcairn’s Island are near fine in a very good dust jackets. Jacket illustrated by Henry C. Pitz. Rare and desirable signed and inscribed. "A model of meticulous research, realistic plotting and dialogue and romantic painterly description," Nordhoff and Hall's Mutiny On The Bounty was made into the MGM film of the same name in 1962"(ANB). Starring Marlon Brando and Richard Harris, the film enjoyed enormous popular and critical success and earned high praise for the "sheer magnitude of this enactment of on of the most famous mutinies" (New York Times). The first widescreen motion picture ever produced, Mutiny On The Bounty won numerous awards including seven Oscar nominations.